DENVER — Nathan MacKinnon and Mikko Rantanen scored power-play goals early in the first period, helping the Colorado Avalanche end a six-game slide with a 6-1 win over the New York Rangers on Friday night. Tyson Barrie had three assists to give him 278 career points, the most by a defenceman in franchise history. Barrie broke the mark held by John-Michael Liles. This helped their cause: Going on the power play early when McLeod slammed the face of defenceman Samuel Girard into the glass on a big hit. MacKinnon scored on a high wrist shot over Georgiev’s glove at 4:40, with Rantanen adding another 2:13 later when his pass went in off the stick of New York defenceman Neal Pionk. MacKinnon and Landeskog each have 25 goals this season. What’s more, Landeskog, MacKinnon and Rantanen now have combined for 175 points this season. NOTES: Rangers C Kevin Hayes missed the game with an upper body injury. 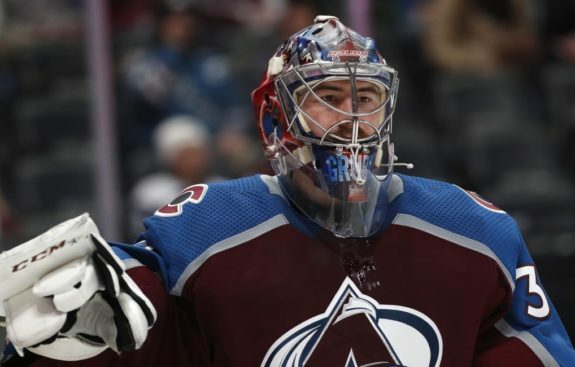 … Avalanche G Semyon Varlamov remains day-to-day with a lower body injury. … The Avalanche are stumping for Landeskog to make the All-Star team through the “Last Men In” vote from the fans. There were buttons and signs that read, “Vote Gabe in.” He appreciated the gesture. “But it’s not something I’m going to lose sleep over or anything like that,” Landeskog said.